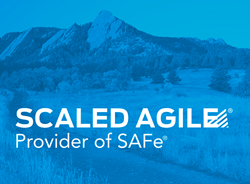 Scaled Agile, Inc., provider of SAFe®, the world’s leading framework for enterprise agility, today announced it has recently moved to a 27,000-square-foot office space at 5400 Airport Blvd. The space was formally unveiled during an open house event in February. The new headquarters allows Scaled Agile to better accommodate the company’s current number of team members as well as provide for anticipated further growth. Scaled Agile hired 30 new team members in the past six months and will be hiring up to as many as 40 new employees in sales, marketing, course content development, and engineering teams. For more information about career opportunities at Scaled Agile, please visit scaledagile.com/careers. Not only is global interest in SAFe increasing, Scaled Agile continues to expand its leadership role in this important area. Additional U.S. and international expansion is planned for 2018. The company has more than 180 global partners to help engage with and shape the global community of next-generation Agile organizations comprised of industry leaders, growth companies, and startups. By connecting strategy to execution, the Scaled Agile Framework visualizes how to apply Lean and Agile practices and principles to the team, program, and portfolio levels, providing the principles and practices that unlock enterprise agility for corporations like Intel, Capital One, Fannie Mae, fitbit, and Northwestern Mutual.